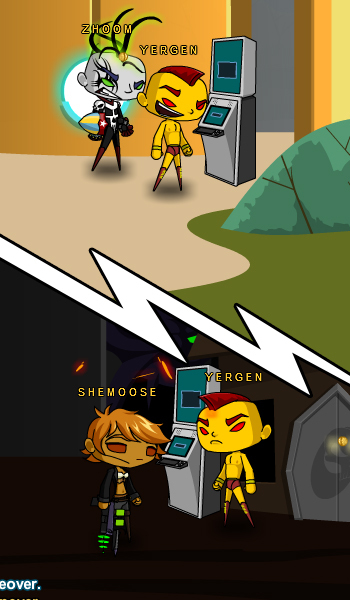 A mysterious Kiosk has appeared in both HeroSpire and SkullDeep. They have on them, an addictive target game. It’s great for training your hero or villain skills. 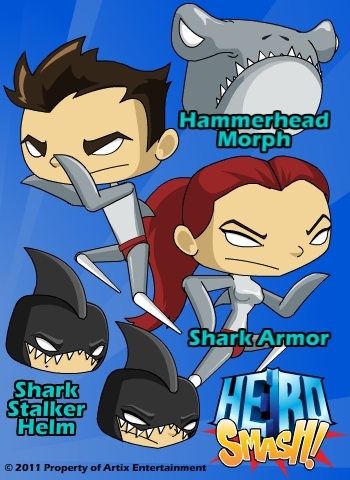 HeroSmash Members can play the game and complete the missions from the kiosk to get the special members only power that involves STRETCHING ATTACKS. Dumoose went crazy on this release, setting up the minigame, and all the powers! Go Dumoose! The kiosk will also be home to the first Suggestion Shop in HeroSmash. 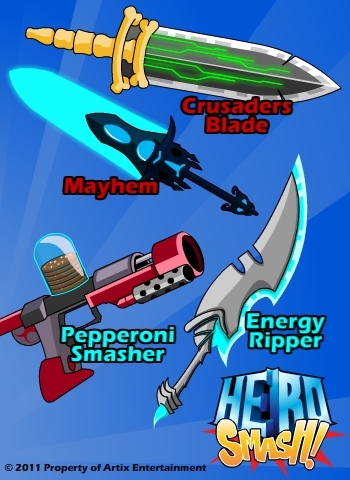 Not ONLY will there be items and powers available, but they will be GOOD and EVIL powers and items. That’s right! The first items based on your good and evil reps. Evil players can go straight to SkullDeep, and look for the Kiosk, while good players should make a bee line for HeroSmash, and do the same. Also, Circe has been gracious enough to create an official thread in the forums for Suggestions(coming soon). Please follow the suggestion rules for submissions. We look forward to seeing your great submissions! Randor and Zheenx worked hard to make the suggestions a reality! In honor of Shark Week, the Summer Shop is getting a special limited time addition. Three new shark themed items have been added to the Summer Shop. Hurry, because these items will only be around this weekend. On Monday they will disappear forever. Summer Shop you say? Yes, on Market Street look for Captain Mack’s Head Shop. Inside, the Platinum Surfer not only has some fun Head Morph items, but she also has the Summer Shop Items. The summer Shop will be around as long as Summer is here (Probably mid September). Thanks to Nytheria and Llusion, the emotes and canned chat have gotten a MAJOR upgrade. New emotes include ROFL, Dance, and Say WHAT? Btw – ROFL is my favorite. Also the canned chat now features *ahem* HeroSmash themed sayings.